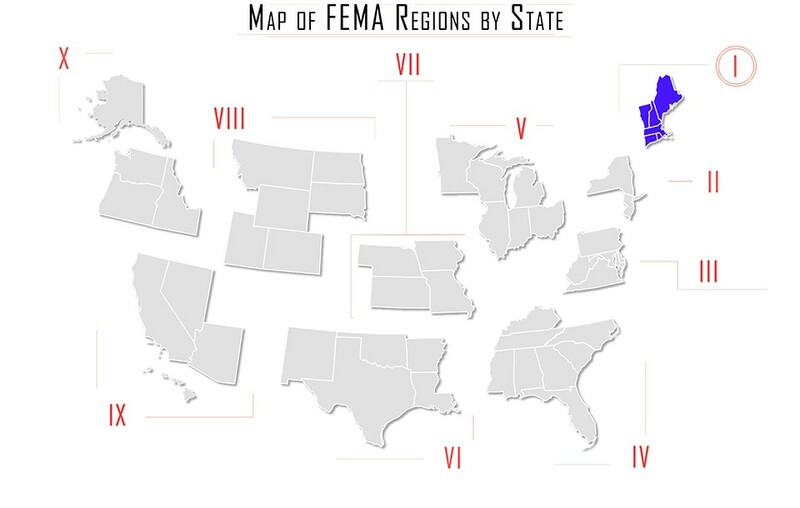 At the Region is an ongoing feature that discusses the state-by-state training, certification and employment requirements of first responder departments across the nation by FEMA region. In this article, At the Region looks at law enforcement requirements in Region I, Connecticut, Massachusetts, Maine, New Hampshire, Rhode Island, and Vermont. • Citizen of the U.S.
• Initial certification must be obtained within one calendar year of the person’s date of hire as a "probationary candidate." • Initial certification is granted for three years; police officers are required to obtain the needed number of review training credits during each period of certification to allow the Council to renew the certification for a subsequent three-year period. Visit the Connecticut POST FAQ for more information. • Has not had more than three years separation from a law enforcement unit. • Length of service and field experience as a police officer. Beginning in 2015, the Connecticut POST considers Military Police Training as substitute for POST basic recruit training, based on experience. The Massachusetts Municipal Police Training Committee is responsible for the development, delivery, and enforcement of training standards of municipal, University of Massachusetts, and Environmental police officers of the Commonwealth. Massachusetts offers both a full-time and part-time course of study at the training academy. All recruits must have health insurance, a police car for driving instruction, and sign a liability waiver before beginning the academy training. • The appointing authority must request the exemption and supply appropriate documentation. • The officer cannot have a break in service exceeding five years. • If the exemption is granted, the officer then has 90 days to complete the Orientation Training Program. • Must be least 21 years of age with a high school diploma or GED, or 20 years old with an associates degree or 60 credit hours of post-secondary education, 19 years old with has completed 40 credit hours and is currently enrolled in post-secondary education. • Did not falsify or misrepresent any information during the application process, background investigation, or polygraph examination. Phase III: After being hired by a Law Enforcement Agency as a Law Enforcement Officer, a provisional certificate will be issued upon receipt of a MCJA Notice of Employment and a MCJA Firearms Proficiency Form signed by a Certified MCJA Firearms Instructor. The employing agency must provide 80-hours of documented supervision before certification as a Law Enforcement Officer is granted by the Criminal Justice Academy. The Chief Law Enforcement Officer will have to sign a notarized MCJA Form stating the officer has completed the 80 hours of supervision to his or her satisfaction. Maine has a Basic Law Enforcement Training Program (BLETP)waiver process to evaluate candidates who hold certification from another state or military police training. Candidates must meet the Phase I entrance criteria and the hiring agency must submit the request for waiver evaluation. The New Hampshire Police Standards and Training Council governs all training for law enforcement in the state. To attend the police academy, a candidate must be hired by a state, local or county law enforcement agency in New Hampshire. PTSC offers both full-time and part-time academy training. Each hiring agency sets its own minimum standards for police officers, which may also include age and education requirements, written and polygraph exams, and an oral interview. The New Hampshire police academy is reciprocal with all other states, the Corrections Officer Academy is not. Currently serving and certified, academy-trained, full-time police officers in another state, may be eligible to have some Academy subjects waived. New Police Officers still attend the “New Hampshire Law Package” training, and must pass tests on these modules. All out of state certified and military police officers must still meet all the pre-hiring and background investigation requirements, pass the medical and psychological exams and the physical fitness test. The Rhode Island Police Officers Commission on Standards and Training (POST), with the approval of the Commissioner of Public Safety, establishes the courses of training and sets rules and regulations relative to the education, physical standards, and personal character of candidates and trainees. Local police department and agencies recruit and hire candidates before they can attend the Municipal Police Academy in Rhode Island. The department must submit an application packet to RIMPA for a recruit to receive a class seat. Rhode Island requires full POST certification for officers. There is a “case by case” waiver available, however, recruits must typically complete 200-300 hours at the Rhode Island Municipal Police Academy.